Windows 8. I get it now. Do you understand Windows 8? I upgraded a machine with Windows 8 Preview to Windows 8 Pro over the weekend. The preview copies from Microsoft have a January 2013 expiration date, so I had to do this at some point or abandon my preview. I did enjoy playing with Windows 8 and captured my initial thoughts back in August with a post entitled Microsoft’s bold new move. 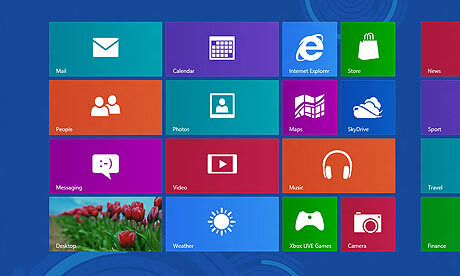 It’s not surprising that the Metro style interfaceof Windows 8 has created a buzz with tech media and bloggers. It is a dramatically new look for the Windows desktop that everyone is comfortable using. Change creates opinions. The start page of Windows 8. Tiled application blocks. But it’s not a dramatically new look if you think about the devices that most of us are using more and more of these days. As I was setting up applications on the Metro style start page a light went off in my head. I already recognized the new design was made with tablets and mobile devices in mind because the design is much easier to navigate with a touch screen. But before today, I was focused on the difference in the user interface as departure of the traditional PC interface. Now I see that Windows 8 is Microsoft’s way to begin to transition the PC experience to be identical to the mobile and tablet experience. The idea is that regardless of which device you use, you can still maintain the same experience. With the heavy reliance and interactivity on a Microsoft online account, it’s possible to keep much of the same content inside the experience as well (“To the cloud!”). In a world known for multi-taksing we have become comfortable with a mobile interface that encourages uni-tasking. Our phones and tablets can support multiple running programs. But think about how we typically use these devices. That would be one application at a time. Find your app tile, click it, and go. Even though that’s mostly driven by space considerations (you can’t have multiple windows showing on your phone), the Metro start page for Windows 8 follows the same design principles. What does it mean for the business customer? I still believe Microsoft’s biggest challenge with the new interface will be in business adoption. Productivity and efficiency are key considerations for business usage of computing devices. Creating change is like creating disruption and business leaders don’t like disruption to their environment. Think about the multi-tasking model of the traditional Windows environments. You can have multiple Windows open and bounce back and forth between them. That’s not really the model of the application tile interface. So it’s good that Microsoft left a way to get the traditional desktop in Windows 8. This will help make adoption and transition within the business environment smoother. Navigation with a keyboard and mouse will be a challenge. Try as a I might, I have found it awkward to push the mouse to the corners of the screen for menus. So I printed out a list of the Windows 8 keyboard shortcuts to help get the menus to appear faster. Others may not be as patient as I am and I’m already a keyboard junkie from early days in Unix. So when you think Windows 8 think about your phone. Think about apps and tiles. That’s what it’s really about. BTW – In case you were wondering, I haven’t given up my beloved Ubuntu Linux device. My Windows machine is a secondary device used mostly by other family members.